major & minor workers & male only described (see Bolton, 1995) . 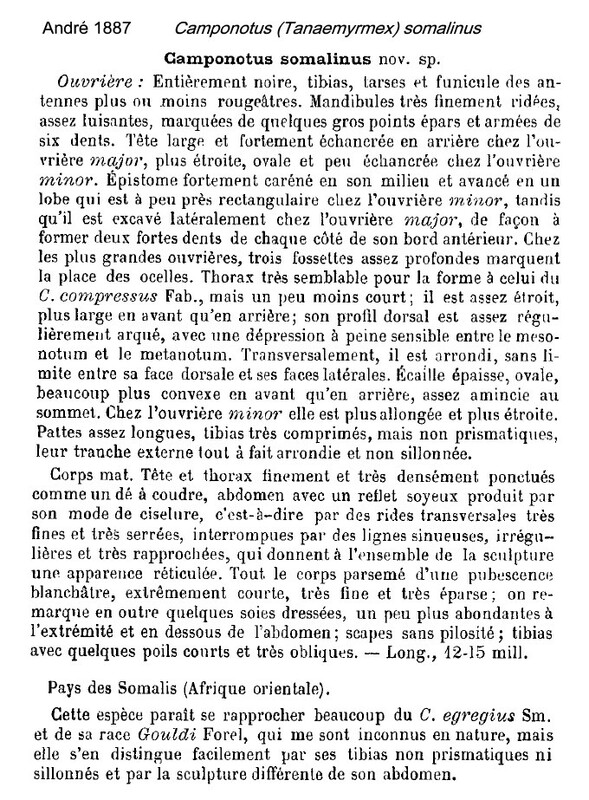 André's (1887) description is at . 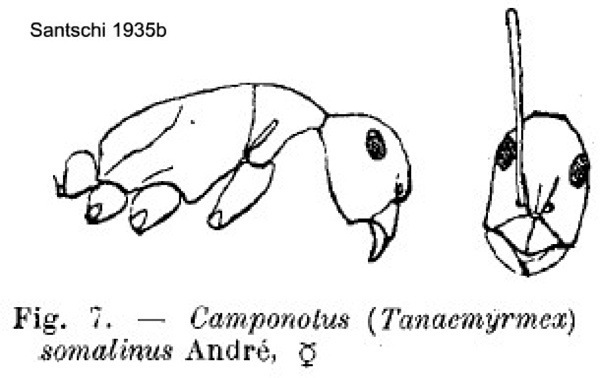 Menozzi's (1930b) description of the male is at . 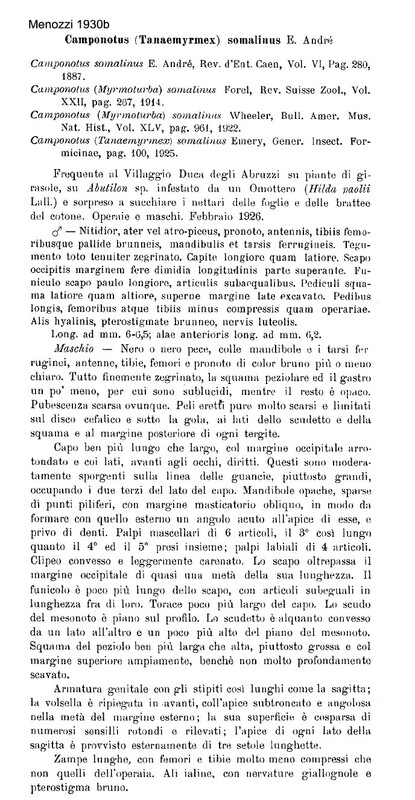 Forel's (1894b) description of curtior is at . 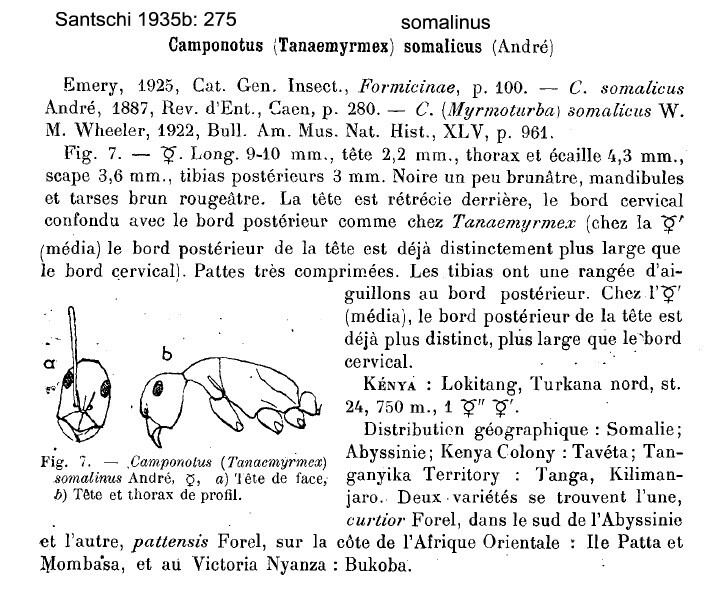 Forel (1907g) briefly noted that pattensis had TL 9-13 mm; while the head was not as wide as in curtior the sides were much more convex; otherwise like the type form. Santschi (1935b) gave an illustrated note; this is at . The photomontage of the type major worker is collated from http://www.antweb.org/specimen.do?name=casent0913692. The photomontage of the type media/minor worker is collated from http://www.antweb.org/specimen.do?name=casent0913693. The photomontage is of a major from Congo, Réserve de Lésio-Louna, Village Mah; collector Eric Zassi. The photomontage is of a minor from Congo, Réserve de Lésio-Louna, Village Mah; collector Eric Zassi (pitfall trap 11, t 1). The photomontage is of a male from the Central African Republic, Dzanga-Sangha NP; collector Philippe Annoyer (CAR KG).